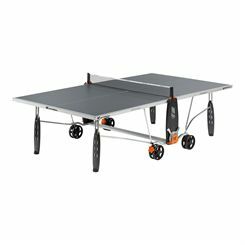 Providing a great deal of entertainment and leisure, suitable for experienced players and casual users, the Cornilleau Sport 250S Crossover Outdoor ping pong table is a great addition for active families who enjoy spending time together and having lots of fun. 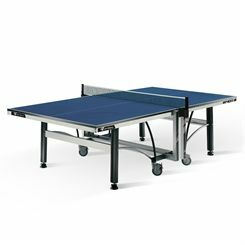 Allowing for solo play thanks to playback facility, the table is easy to close and open, plus it features a DSI Locking System to provide enhanced protection in both positions and the folding system ensures compact space storage. The 5mm (0.2’’) resin laminate and soft mat top surface deliver greater resilience to bat blows and three times fewer light rays due anti-glare coating. 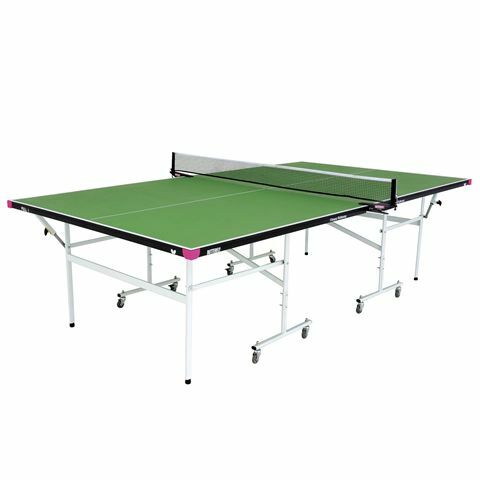 This stable and well-made table has modifiable polyethylene net and adjustable feet, very convenient when setting up the table on uneven surfaces. 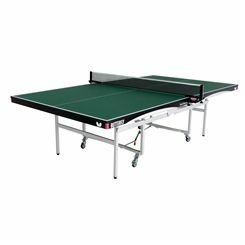 The Sponeta Hobby Playback Indoor table tennis table is a part of the special Sponeta Hobby line. 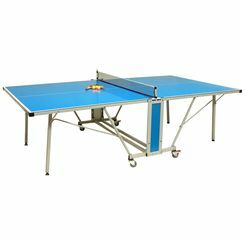 It’s a great choice for both beginners and recreational players. There is a playback position option for solo practice. To provide the best standard of play, the table top is a 19mm multi-coated chipboard with an anti-glare surface. 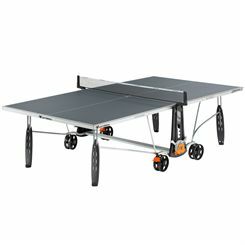 Besides that, the table comes with a safety bar to prevent climbing or staying between the two table tops when stored. 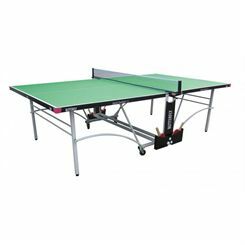 It is easy to assemble and the instructions are also provided. The stable and robust construction is strengthened by the steel undercarriage frame. 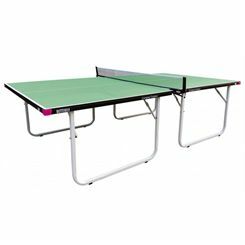 A net set is included with the table so you can start playing straight away. The first table tennis tables were the dining tables of the officers’ mess in colonial India and the parlour tables of society folk in Victorian Britain. 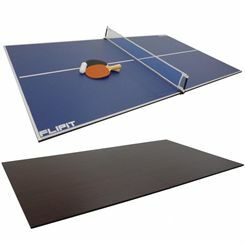 Back then pretty much any flat surface would do and rules varied from regiment to regiment and household to household. 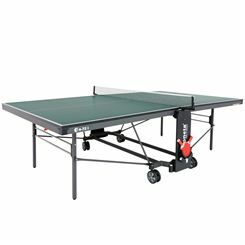 Today the table tennis table is less ‘make do’ element, but there’s a great range out there for the enthusiastic home player and committed professional alike. 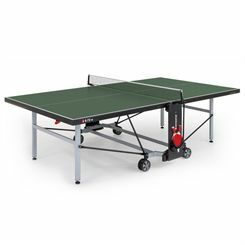 The earliest surviving Table Tennis Table comprises part of a set made by David Foster, patented in England in 1890. It’s green cover and white markings are much the same as those you see on tables today but this one had nets to the side from which the ball could return, rather like ‘real’ or ‘royal’ tennis as played many centuries earlier most famously at Hampton Court. Today the choice is pretty extensive and there are options for all environments and budgets. 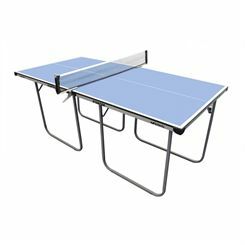 • Location, location – There are tables with legs that can be fixed to a floor and concrete tables that once set down require lifting equipment to budge so if you’re committing to one of those you need to be confident you’ve got the right location. • Thickness of surface – don’t be deceived by the innocent look of a ping pong ball – regular play will give the table surface a pounding over time so naturally the thicker the better. If you’re a serious player you probably should consider at least 25mm thickness. 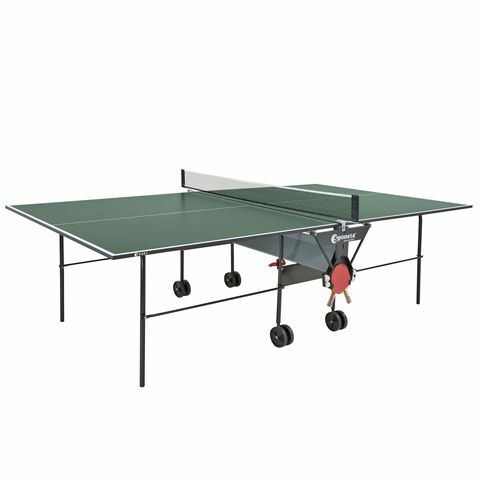 • Sturdy support – ensure the legs of your table are tough, if you’re leaning on or fall on to the table during play it needs to stay upright! • Even keel – your floor is unlikely to be exactly horizontal to the perpendicular so a table with adjustable legs is a good idea and you can use a spirit level to set it up when preparing for play. 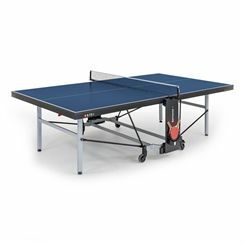 NB the height of the table should be 76cm above floor level.